We are pleased to announce that we have received a new contract award from Los Angeles Unified School District (LAUSD. The new multi-line contract, which was competitively awarded, runs through June 2021 and is “Piggybackable” for any California school district! The product lines that are on the contract include state-of-the-art furniture and equipment, for charging and protecting technology. To support a growing trend of mobile devices in LAUSD schools, D&D is offering a variety of mobile device charging and syncing mobile carts and lockers. These new products will support netbooks, Chromebooks and iPads, and include mobile, as well as fixed solutions. National Office Furniture: Seating, Desks, Tables, Casegoods, Storage and specifically the “Swift” Collection of furniture. Wisconsin Bench Mfg: Tables, Desks, Storage Solutions, “RePlay Casework” and Office Furniture. Bretford “Basics”: AV Carts, Media Presenters White Boards, Presentation Systems, Booktrucks, Store & Charge Carts and Charging Lockers. MDL Series: Mobile Device Lockers 10-48 unit models along with various accessories. Datamation Systems: iPad Carts, Laptop Carts, Netbook Carts, USB Hubs, Transport Cases and Docking Hubs. This new contract expands D&D’s partnership with LAUSD to support mobile technology in 1,000+ Los Angeles Schools. “D&D has been proud to work with LAUSD for over 2 decades providing technology support products for their students, faculty and staff. 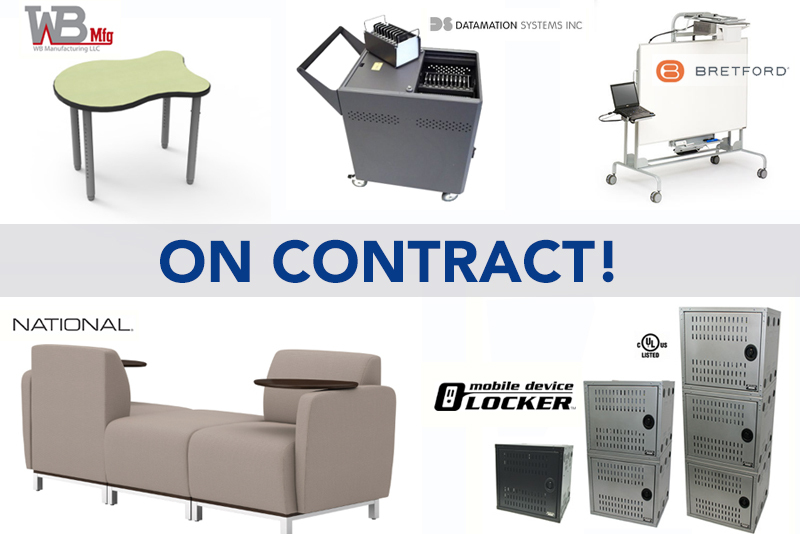 This new contract expands our partnership into 2021, giving us the opportunity to introduce exciting and innovative technology support products into the district” said D&D President & COO, Jeff Rogers.